After your Ecwid store is synced with our ExportFeed Cloud Service, go to dashboard and click on My Shops tab. You will see your store installed. Once the shop sync completes, you will see the product count from your My Shops tab. Below documentation will provide you instructions on how to connect Amazon account. On the dashboard, please click on create feed . 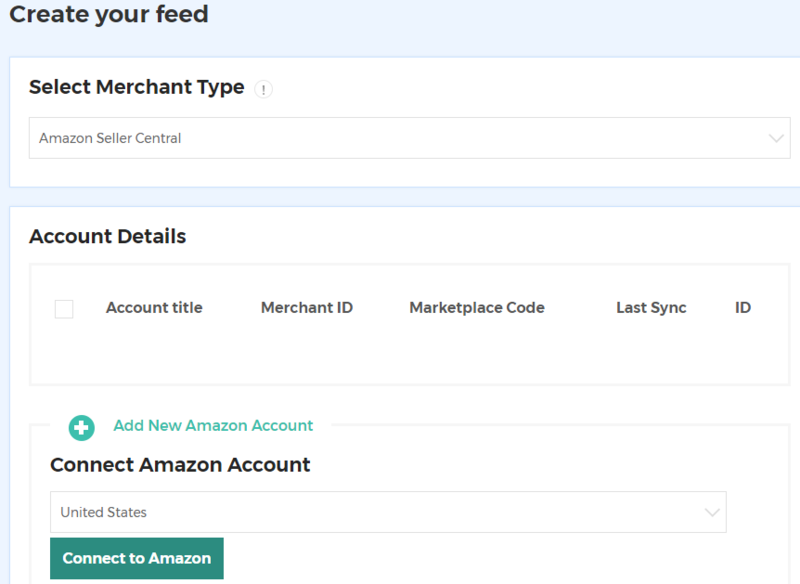 On the create feed tab, please select Amazon Seller Central in the select merchant type. 2. After that, you need to connect your Amazon account on our shopify app. You will be redirected to Amazon Sign In page. Note: Recently, Amazon has made some changes to the developer authorization. Amazon takes around 30 days for the approval process. We have obtained the developer account for the North American marketplaces. 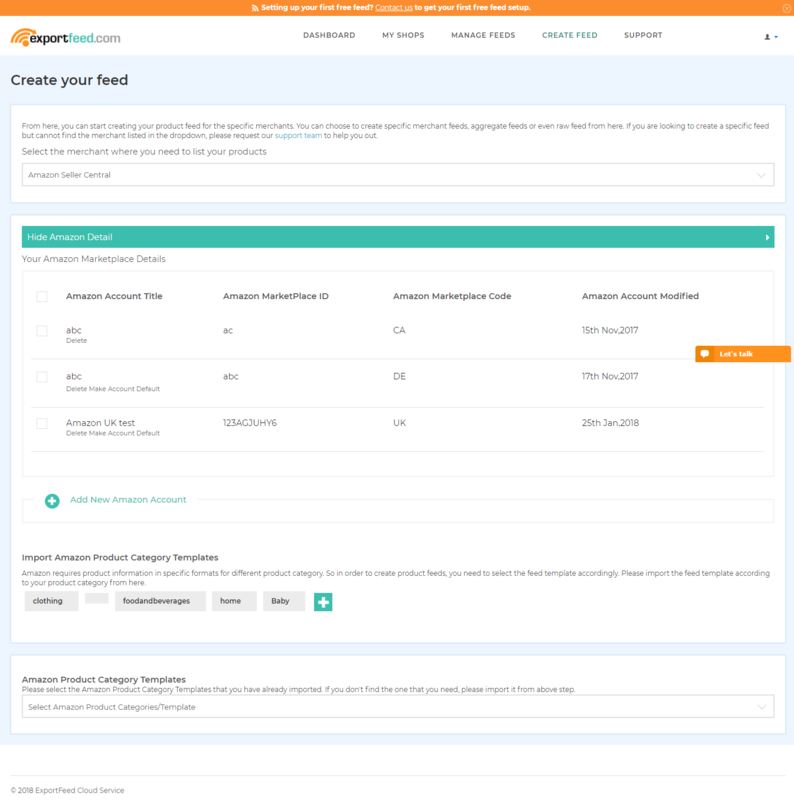 You can authorize ExportFeed as developer on your Seller central. However, you can also continue creating product feed by skipping the connection step. Click Next. After that please click on the Allow button to express your understandings about this, and that you want us to give ExportFeed app the access to your Amazon Selling account. After approval, you will get the Seller ID and MWS Auth Token. Copy and paste these details in ExportFeed app. Now, confirm the addition of New Amazon Marketplace as sales channel on your ExportFeed App. You need to import the template that is suitable for your products. 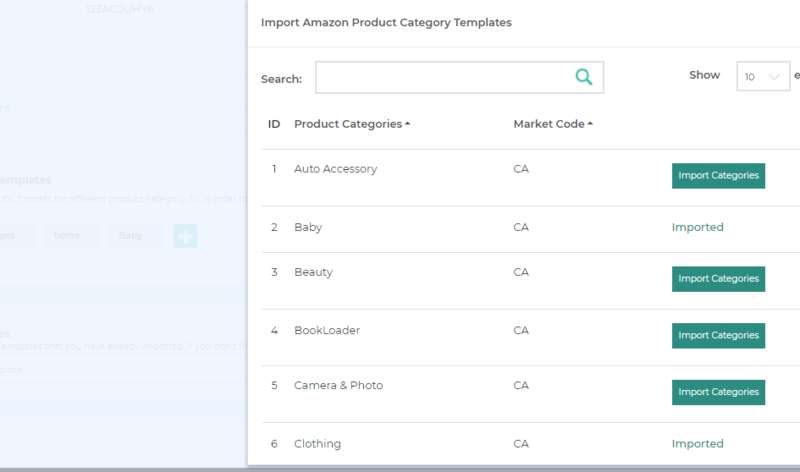 Go to Amazon template option, choose the one you need and then click on import. click on Update setting and proceed. Provide appropriate values for Feed product type, recommended browse nodes and item type. click on proceed to get feed. Go to ‘Manage Feeds’ section. If it is submitted to Amazon, the reports will be shown in the manage feed section. You will be able to view the Amazon feed reports. If you click on view reports. the reports will be shown.